What werewolf reunion doesn't begin with kidnapping and end with betrayal? Ember's commitment to family never wavers. So when her elusive brother plants clues leading to the doorstep of a mother she's never met, Ember willingly follows the trail. Unfortunately, the road to reunion is blocked by a familiar enforcer. Dakota has ditched her bombs and turned to blackmail in an attempt to protect shifter-kind, and this time Ember's twelve-year-old cousin is caught in the crossfire. In the end, Ember is left with an unthinkable choice. Will she turn her only brother over to shifter authorities in exchange for her young cousin's sanity? And even if she is willing to betray her long-sought family member, will Ember's feral brother deign to be caught? USA Today bestselling author Aimee Easterling's newest novel follows Huntress Born and Huntress Bound. 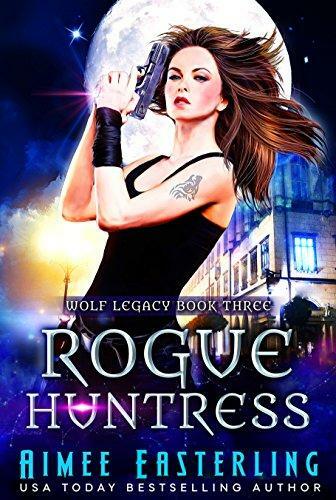 If you like suspense, romance, and werewolf intrigue in equal measure, you'll love the Wolf Legacy series.